Total transaction value in the Personal Finance segment amounts to US$768,318m in 2019. Total transaction value is expected to show an annual growth rate (CAGR 2019-2023) of 18.5% resulting in the total amount of US$1,516,140m by 2023. The market's largest segment is Robo-Advisors with a total transaction value of US$749,703m in 2019. From a global comparison perspective it is shown that the highest cumulated transaction value is reached in United States (US$768,318m in 2019). The Personal Finance market segment contains automated investment services (Robo-Advisors) that enable private investors to align their investment strategy or portfolio using automated recommendations, for example via lead investors, swarm intelligence, social trading or individually configurable parameters as well as cross-border Peer-to-Peer transfers between private users. Online brokers without automated or recommendation-based advisory roles are not included in the Personal Finance market segment. Reading Support Total Transaction Value in the Personal Finance segment amounts to US$768,318m in 2019. Reading Support The P2P Money Transfers segment is expected to show a transaction value growth of 39.3% in 2020. The "Transaction Value" box shows the forecasted value of transactions in the selected market (market segment, region) for each year. The figures do not refer to the actual revenue that is generated by the processing companies. The "Transaction Value Growth" box shows the year-over-year development of the transaction value in the selected market (market segment, region) in percentage terms. Reading Support In the P2P Money Transfers segment, the number of users is expected to amount to 41.20m by 2023. 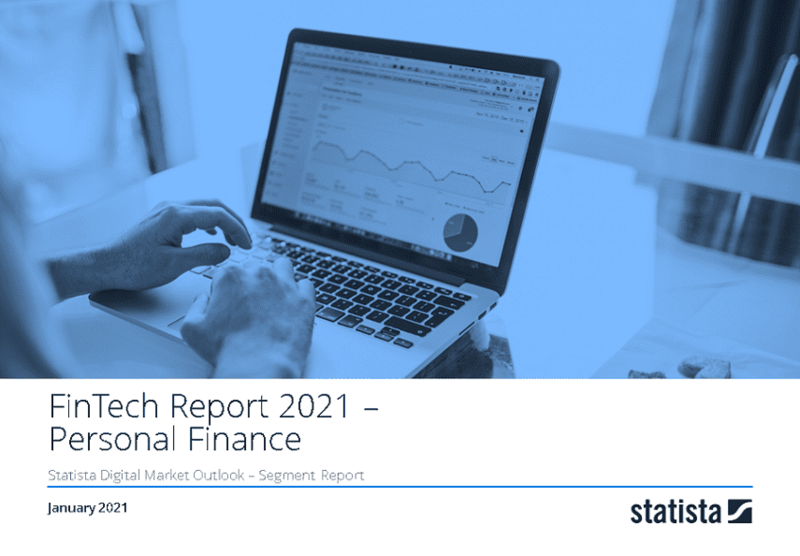 Reading Support User penetration in the Personal Finance segment is at 14.8% in 2019. Reading Support The average transaction value per user in the P2P Money Transfers segment amounts to US$461 in 2019. The box shows the average annual transaction value per user (or potential user) of the selected market (market segment, region) for each year. Reading Support With a total transaction value of US$768,318m in 2019, the highest value worldwide is reached in United States. The box shows a comparison of transaction values for 50 of the world's leading digital economies in the selected market (market segment, region) and year. Here you can find more studies and statistics about "Personal Finance".